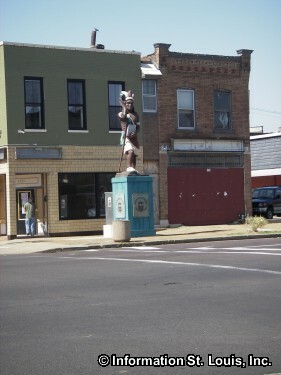 The Benton Park West Neighborhood is located in South St. Louis on the west side of Jefferson Avenue. Triangular in shape, its northwest border is formed by Gravios Avenue, its eastern border is formed by Jefferson, and Cherokee, with a quick jog south on Compton to Potomac, forming its Southern border. The residents of the Benton Park West are served by the St. Louis Public School District eventhough the district does not have a school within the neighborhood's boundaries. There is a private school located there, St. Frances Cabrini Academy, a Catholic school that provides education for students Kindergarten to 8th grade. Two city parks are easily accessible to the neighborhood. Benton Park is just across Jefferson Avenue at Wyoming, and Gravois Park just across Potomac at Compton. Amenities these parks provide for the entire community include over 22 acres of parkland, playgrounds, a stocked fishing lake in Benton Park, tennis courts, picnic facilities and much more. The Benton Park West Neighborhood was largely settled by German immigrants who came to the area between the 1880's through the 1930's. It was a working class area where many families owned their own business. Germanic influenced architecture can be seen in many of the one and two family homes. There are also some very large homes that were owned by the more prominent businessmen in the neighborhood. The Ferdinand Herold Mansion, built in 1888 by owner of the Cherokee Brewery, is one such home and is still located on South Jefferson. Cherokee Street was and still is where many business can be found. Fred Wehrenberg was a blacksmith who later opened a saloon, grocery and butcher shop on Cherokee. Fascinated by a 1904 World's Fair exhibit of a film clip, he turned part of his shop into the Cherokee Theatre in 1906 by setting up kitchen chairs and a piano. As you might guess, his theater was a success and the Wehrenberg Theatre chain is the oldest family owned theater business in the nation. Dau Furniture Company was founded by Ferdinand Dau, a German cabinet maker who came to America in 1868. His company had a location on Cherokee Street from 1937 to 1980. The Dau Furniture Company showroom is now located in West St Louis County on Manchester Road. 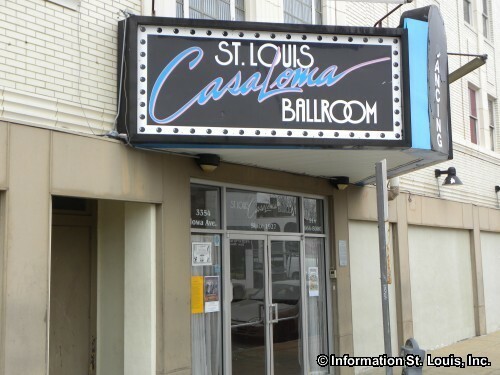 Casa Loma Ballroom, built as the "Cinderella Dance Academy" in 1926, is located in the Benton Park West neighborhood. 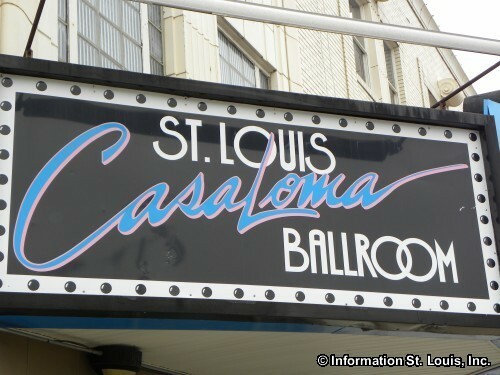 The Casa Loma Ballroom is no longer a dance academy, but dancing still happens every Friday night. Friday nights feature a "by reservation only" Dining and Dancing event with a buffet, dance lessons, and dancing to big band and swing music played by a live orchestra. There are several churches in the Benton Park West Neighborhood. Our Redeemer Lutheran Church, founded in 1892, which was the first English speaking Lutheran congregation for South St. Louis. Curby Memorial Presbyterian Church was founded in 1873 and the present church building was completed in 1898. The second Bohemian congregation in St. Louis founded the St. Wenceslaus Catholic Church in 1895. The original church was destroyed by the 1896 tornado and the present building was completed in 1936.